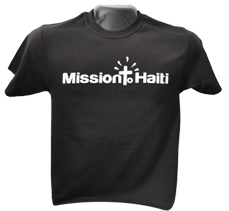 When you support the work and ministry of Mission To Haiti you will be helping thousands of people on the mission field. Haiti is still the poorest country in the Western Hemisphere. Your donations will bring relief to many families who live in deplorable conditions. Your donations to this ministry are tax deductible. Mission To Haiti is a Florida Non-Profit Corporation and is exempt from federal income tax under section 501(c)3 of the Internal Revenue Code. A copy of our IRS determination letter or a financial statement is available upon request. Enter numbers only, no spaces or dashes.